When you’re on the hunt for authentic Italian cuisine in the heart of the city centre there is one place that instantly springs to mind – Il Forno! Focusing on the art of Italian dining, from the cooking to experiencing the tastes and old school Italian hospitality, you can see why it’s considered one of the top 10 Italian restaurants in the UK! Mr.Man and I had one of our first dates at Il Forno well over a year ago and I’ve been hoping for a chance to go back and experience more of their menu. 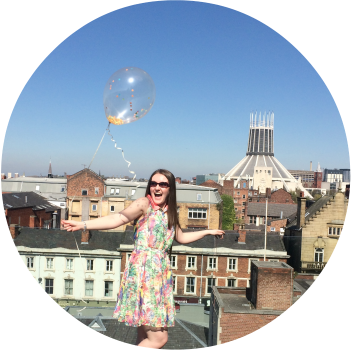 This past Friday I got just the excuse to go back – a leaving meal for a colleague. I always think Italian food tastes best when in you’re dining in a large group, passing food back and forth, good company, good wine, and lots and lots of noise, that’s my kind of Italian! About 20 of us went along for the meal. Il Forno had put together a set menu for us which we had picked from a few days before. Starter, main and dessert for £24.99 per person which was an absolute bargain if you ask me for a top quality 3 course meal. I’ve also got to mention how excited (yes, we’re a strange bunch!) we got over the place cards with our names and orders on! In the past, group meals have always been plagued by confusion over who ordered what, people getting the wrong thing etc but Il Forno avoided any and all issues by confirming our orders on the place cards and getting everyone precisely what they ordered! For my starter I chose the prosciutto crudo di parma e melone aka sliced melon wrapped in parma ham! I love things served on boards, let me just get that out there, it’s very rustic indeed! Melon is melon but it did taste really fresh and I love my melon as cold as possible – which this was! It was really juicy so you could easily tell it hadn’t been sitting around in the kitchen for a few days. 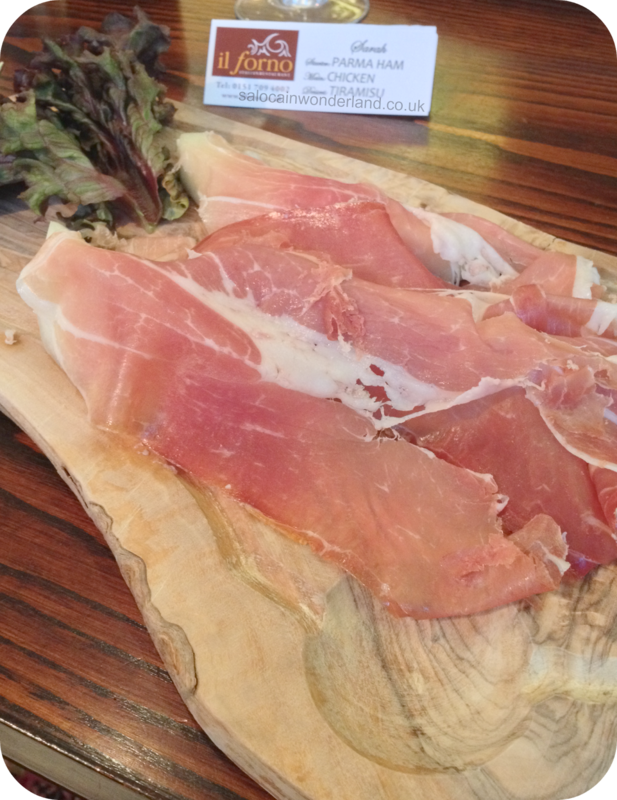 The parma ham was something to behold – for starters there was so much of it! It was expertly thinly sliced and went so well with the melon, I could have ate another plate or two easily! I went with the chicken dish (I can’t find the exact one on the menu! 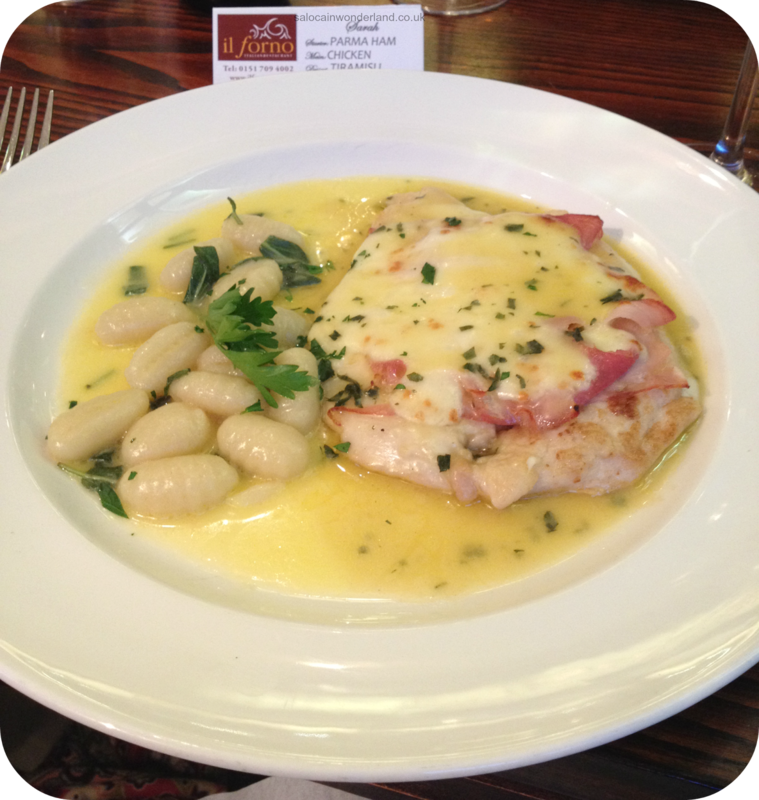 ), an oven baked chicken breast topped with a thinly sliced prosciutto ham , cheese and chives (think an Italian hunters chicken) served in a butter sauce with a side of gnocchi! I have to say, I love gnocchi! What’s not to love about little bite sized soft dough dumplings? They soaked up the butter sauce and, oh me oh my, delicious! The chicken was succulent and cooked perfectly. The portion didn’t look huge but it hit the spot so well and was full of flavour! It left me feeling satisfied but not overly full – which was great as dessert was still to come! Now, when something comes with award winning next to it, it’s got to be worth a try if you ask me! 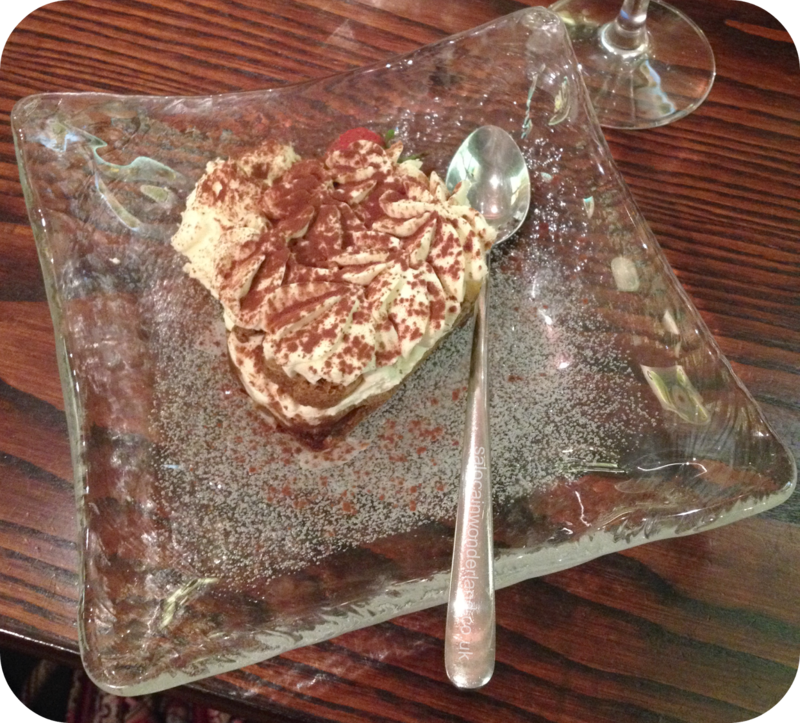 I went for Il Fornos award winning Tiramisu. Sponge fingers soaked in espresso coffee, marsala and lashings of marscapone cream. Just thinking about it has got my mouth watering. It was wonderful and the perfect way to finish off the meal – there had been talk of espresso martinis so this was the next best, less alcoholic way to end our night. Everything was washed down with a delicious Pinot Grigio, Via Nova that was an easy to drink, medium alcohol dry white wine. The staff go above and beyond in Il Forno and they really couldn’t do enough for our large party. We never felt left out, our glasses never stayed empty, plates where cleared swiftly and there was the perfect delay between each course. It was a perfectly timed show of top-notch customer service. From start to finish we had a wonderful time! We didn’t even have a problem getting the bill! Win! I’m now sat here with a craving for fresh breads, oils and a good ol’ slice of authentic wood fired pizza! I’d love to go back and try their other menus, especially their Monday night special (3 courses for £15.95) and the Christmas lunch menu (3 courses £22.95) – I’m starting to feel Christmassy! 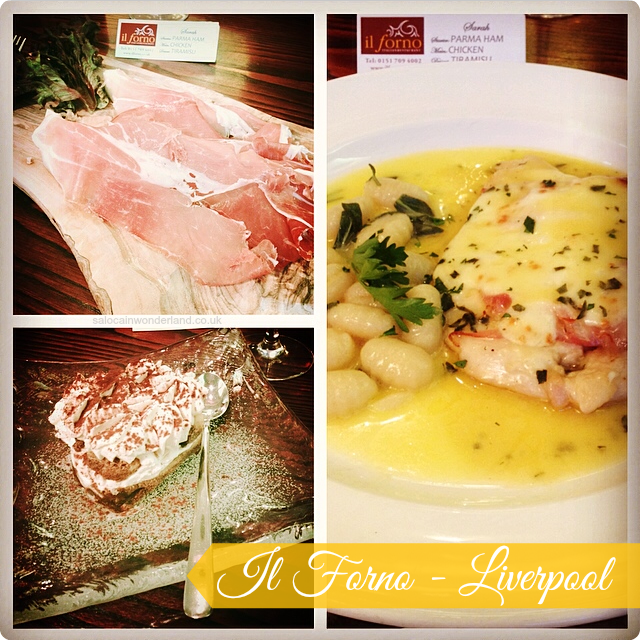 Have you ever been to Il Forno? What’s your favourite Italian dish? Let me know in the comments below!